At BANG Restaurant and Bar we pride ourselves on exceptional quality food, great value and stylish and relaxed surroundings. Whether you join us for a date night for two, a special celebration, or a private event we work to exceed expectations and provide an experience to remember. 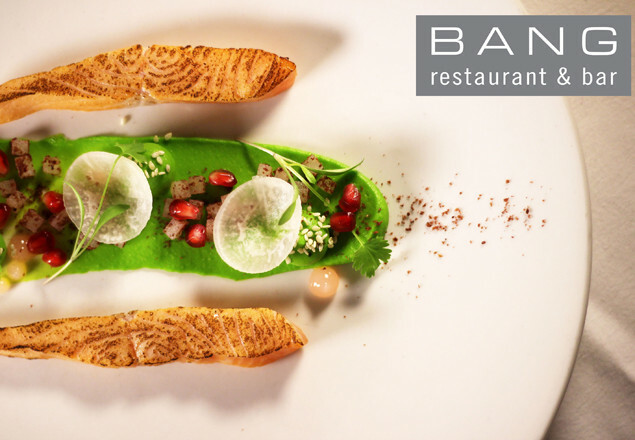 BANG has consistently been listed as one of Dublin’s top rated restaurants with 2018 recommendations from The Michelin Guide, 2 AA Rossettes, Trip Advisor Certificate of Excellence and more. Nominated in Irish Restaurant Awards for best chef and best service as well as best cocktail experience.